Bring a pot with water to a rapid boil. Add saltfish and reduce to a medium boil. Boil for 15 minutes. 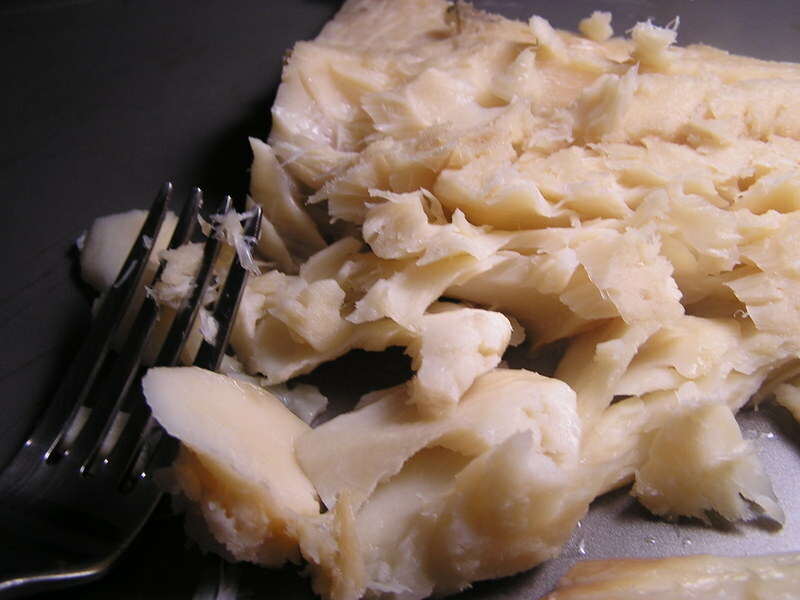 Drain saltfish, do not rinse! Fill pot with water again and bring to a medium boil. Add drained saltfish and boil for 10 minutes. Drain saltfish and transfer to a mixing bowl. Flake saltfish with a fork. Set aside. Chop onions and pepper. Heat a skillet with 1 tbsp oil to medium heat, add onions and pepper and fry till onions are tender and fragrant. Add saltfish and let it cook with the onions for about 10 minutes. Turning frequently. Chop tomatoes, garlic, and scallions. In another skillet, heat 2 tbsp oil and add tomatoes. Let it simmer for about 4 minutes then add chopped garlic and scallions. 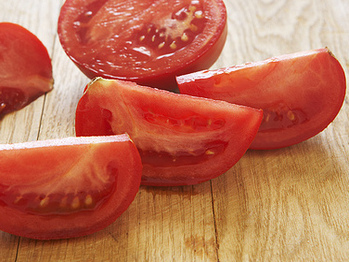 Let it cook on low heat until the tomatoes break down and start to resemble a sauce. Add the black pepper and parsley. Cook an additional 4 minutes until tomatoes have become liquid and tender. Add saltfish to tomato sauce and mix until it is completely incorporated. Leave it on the heat for about 6-8 minutes so some of the tomato liquid can evaporate. If you like your saltfish with more tomato juice then only leave it on for 4 minutes. Remove from heat, you're done! Heat oil. While oil is heating you can prepare the dough. Add all of the ingredients except the water to a mixing bowl. 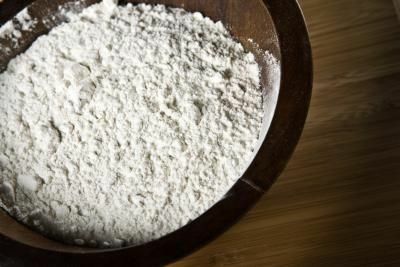 With a fork, cut shortening into the flour until it turns to small pieces. 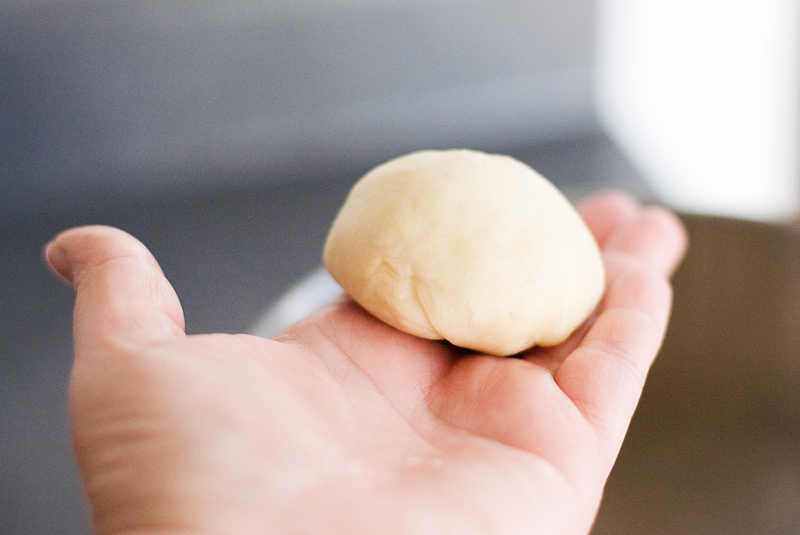 Add water and bring together into a dough ball. Cover with a damp napkin. 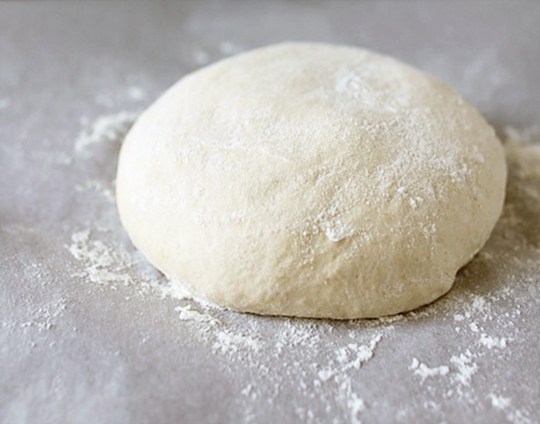 This will prevent your dough from forming a crust. Let it sit for about 1/2 hour. Flour a surface and place dough ball on surface. Cut dough ball in half and roll the halves into a log. Cut log into about 5 pieces. Roll each piece to about 4 inches in diameter and 1/2 inch thickness you can get creative with shapes! If you don't have a thermometer to temp the oil, just test by breaking a small piece of dough and putting it into the oil. If it immediately rises to the top, the oil is ready. 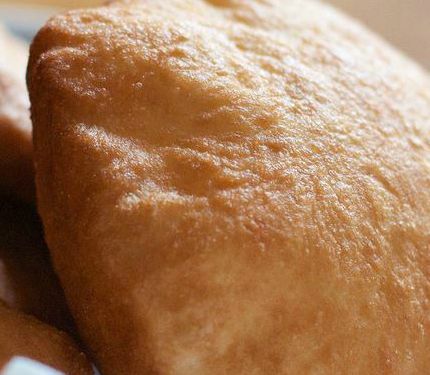 Fry until bakes are golden brown on each side.